There is a need for the latest evidence to be provided in an accessible format and this is where the role of journals such as those published by RCNi becomes significant. 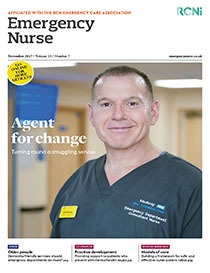 Articles in RCNi journals tend to be shorter in length and are written in accessible language so that practitioners working in specific clinical fields recognise their relevance to practice immediately. As a result, they can keep themselves updated about current evidence on relevant practices so they can improve care provision.